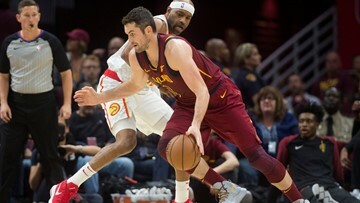 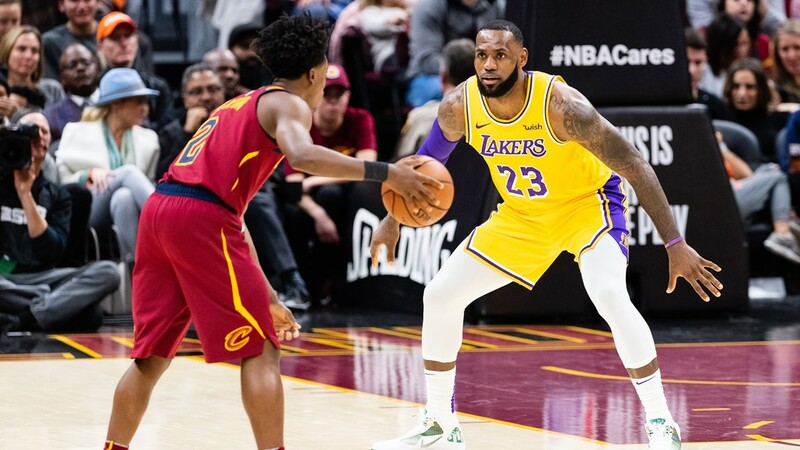 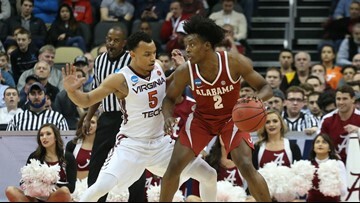 Los Angeles Lakers forward LeBron James guards Cleveland Cavaliers rookie point guard Collin Sexton during the first half at Quicken Loans Arena in Cleveland, Ohio, on November 21, 2018. 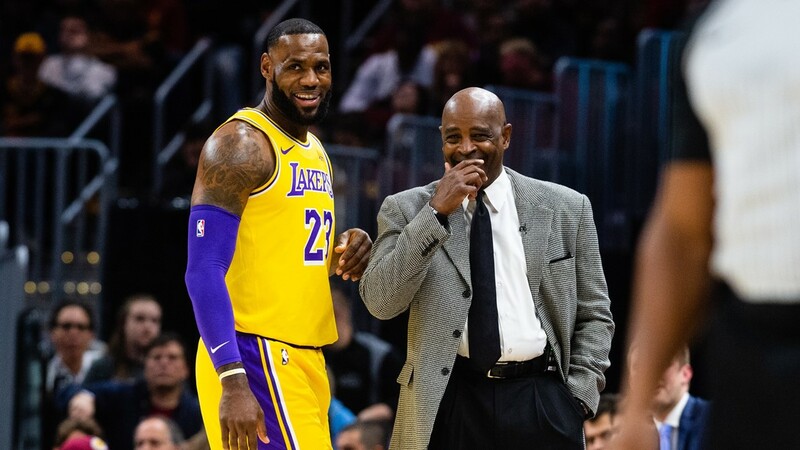 Los Angeles Lakers forward LeBron James talks with Cleveland Cavaliers coach Larry Drew during the first half at Quicken Loans Arena in Cleveland, Ohio, on November 21, 2018. 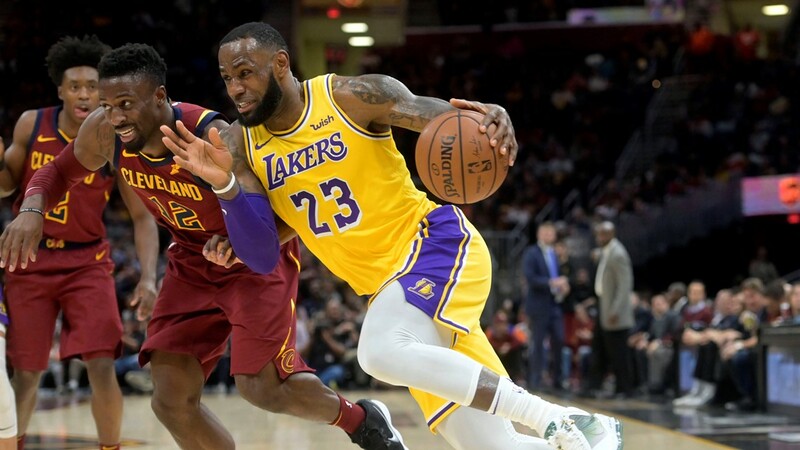 Los Angeles Lakers forward LeBron James (23) drives against Cleveland Cavaliers guard David Nwaba (12) in the second quarter at Quicken Loans Arena in Cleveland, Ohio. 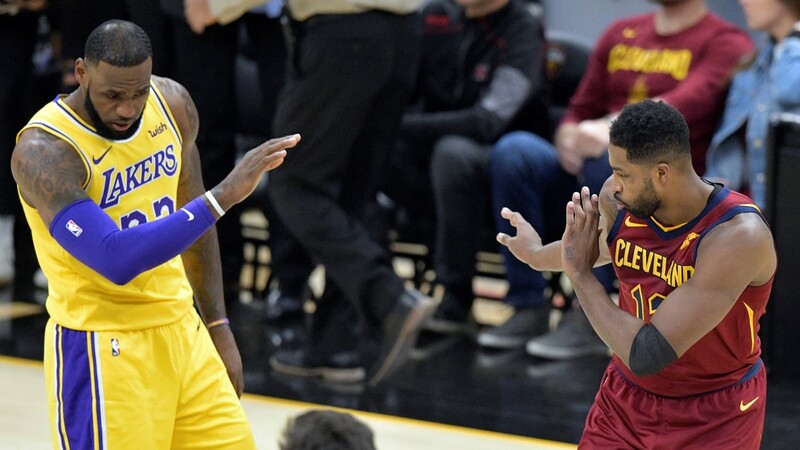 Los Angeles Lakers forward LeBron James (23) and Cleveland Cavaliers center Tristan Thompson (13) share a laugh before a game at Quicken Loans Arena in Cleveland, Ohio. 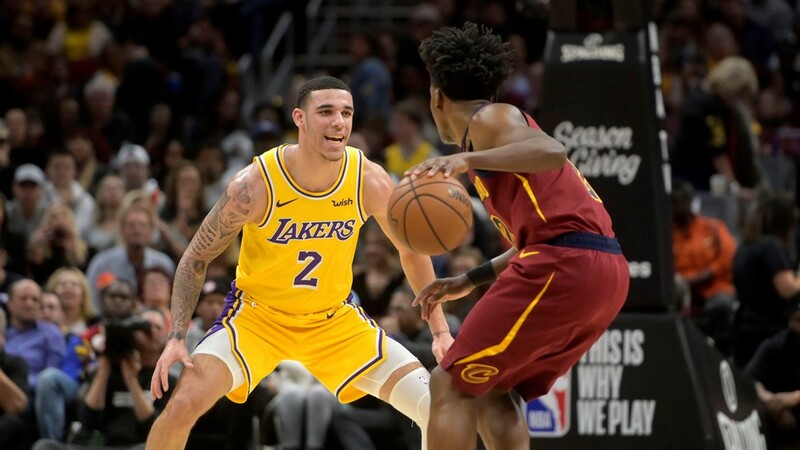 Los Angeles Lakers guard Lonzo Ball (2) defends Cleveland Cavaliers guard Collin Sexton (2) in the second quarter at Quicken Loans Arena in Cleveland, Ohio.